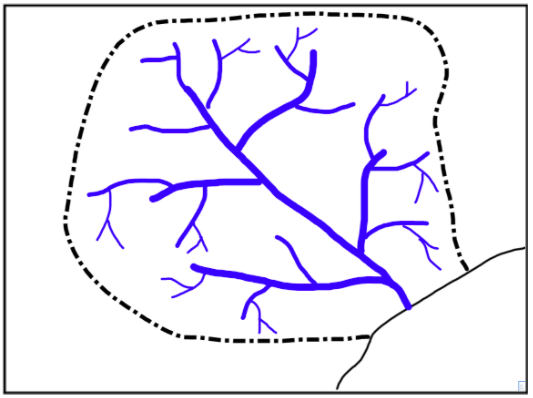 Explain what a drainage basin is in your own words. 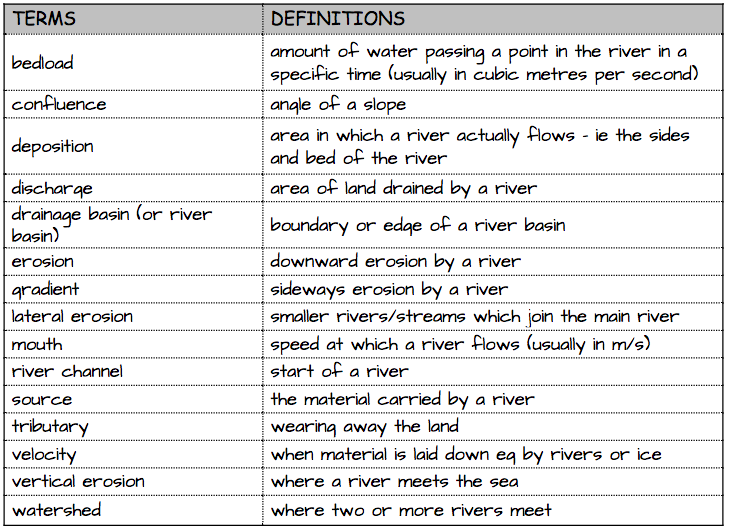 ​Match the key terms and definitions below, then draw your own version of the drainage basin diagram and add full labels. Study the 8 photos below. For each of numbers 1-8 identify which part of the river/drainage basin it shows. Choose any two of the images or maps and draw an annotated sketch to show the key drainage basin features it shows.